J & MB Travel organised everything and it took the stress of booking a holiday off our hands. The WestRocks Hotel was clean, service you couldn’t fault and linen & towels were spotless. Robbie the driver was very good and entertained us – good man. I met some lovely people and would like to come again. Thank you for a lovely holiday in Newcastle. Thank you Jackie for a great holiday to Newcastle. It was superb: the hotel, the outings and – of course – Robbie. Another fantastic holiday with you. The outings were lovely and we’ll certainly go again next time. Thank you for another wonderful holiday in Blackpool. We would like to say what a wonderful Twixmas holiday we spent in Bournemouth. Everything was first class, comfortable coach, really good driver, great hotel and food. We just could not fault it at all. 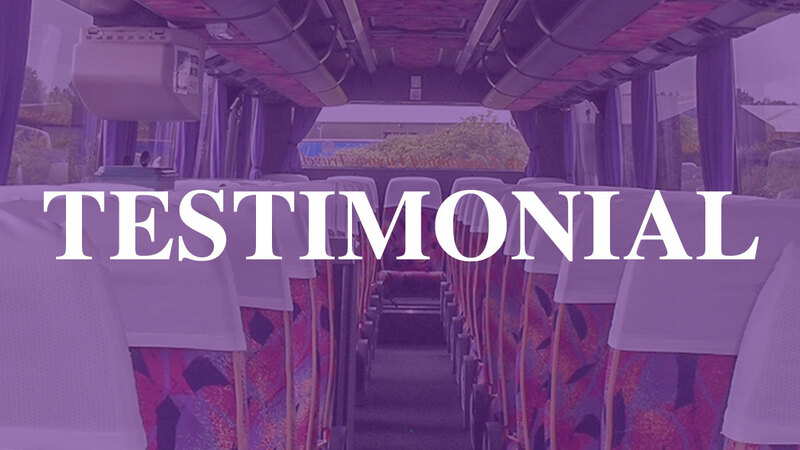 We look forward to booking with you again. Mr & Mrs S.